2016 is the Year of Innovation, Architecture and Design. 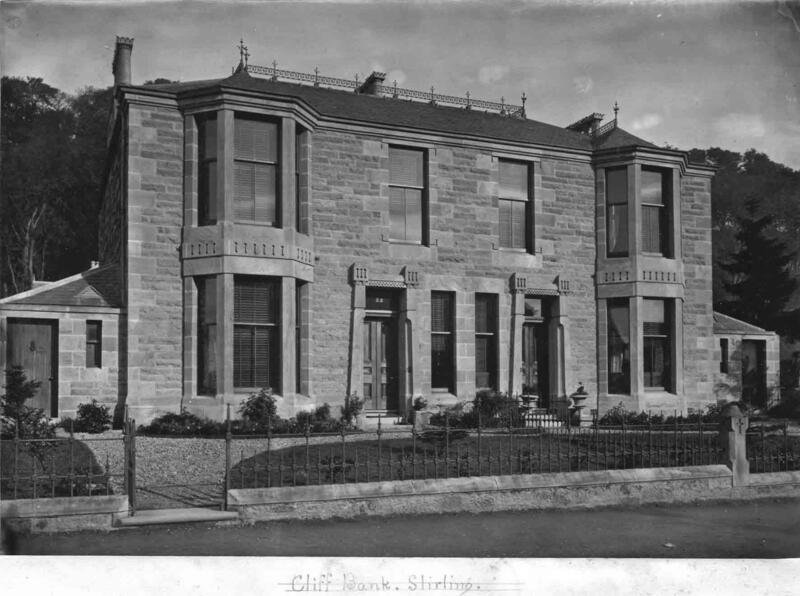 Featured from the Stirling Smith collections today is the lovely double villa of Cliff Bank, 32 – 34 Albert Place. It was built in 1878 by architect John Allan (1846 – 1922) as his own residence. Its demure exterior hides many fine features, like the glass cupola which lights the stairway by day, and where the stairs have lights inserted beneath the treads for night use. The main rooms have generous curves rather than corners. John Allan was one of the most distinctive architects Stirling has ever had. He was born in Carnock in Fife, was trained in the Arts & Crafts tradition and was well educated in literature and the arts. 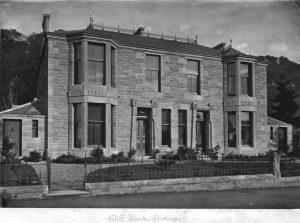 He came to Stirling at the age of 29, and most of his best work is here – in the villas of Kings Park, the revolutionary Wolf Craig building (the first in Stirling to have electricity) and its companion in Port Street. Many of his buildings have quotations and symbols on them which challenge and sometimes puzzle the viewer. Housing by him in Albany Crescent had the motto ‘What-eer thou art act well thy part’, a phrase which so inspired the Mormon leader David O MacKay that it was bought from the demolition by church leaders in 1965 and shipped to America. Look out for a publication and exhibition on Allan next year.